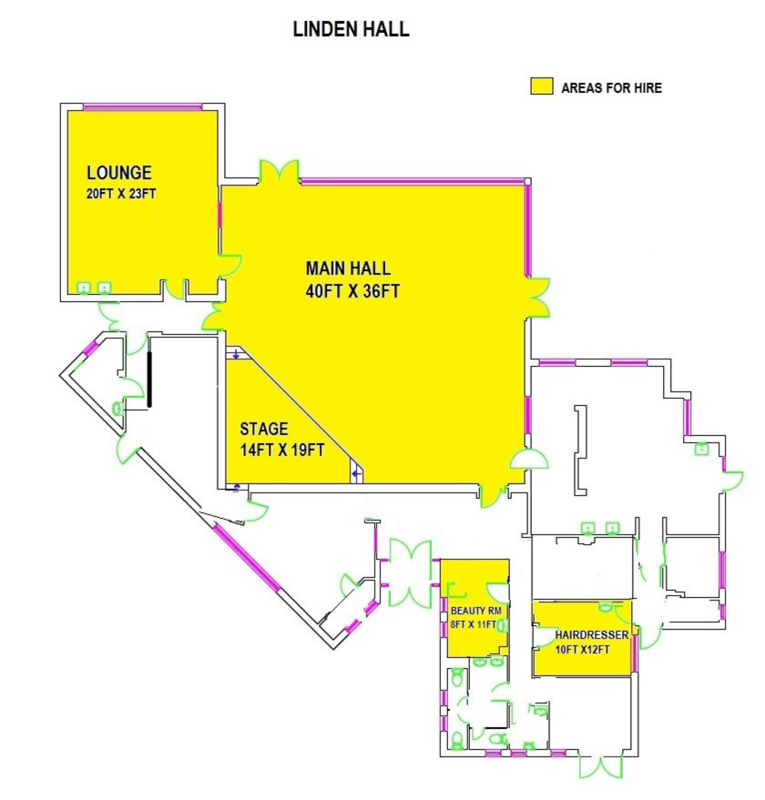 Linden Hall Community Centre is a spacious and well equipped facility in a convenient and accessible location in Hampton. We hold regular community events and a range of activities run daily. Our centre is also host to a number of other local services that run classes and courses for different age groups. 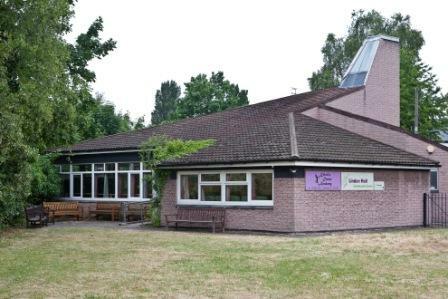 Our main hall with adjacent lounge area is available for hire and is suitable for children’s parties, family gatherings and charitable groups to meet. Main Hall (40ft x 36ft). Includes a triangular shaped stage (approximately 2ft high with stair access). This is a very bright room with a high ceiling and double door access to the garden. There are ten 5ft circular folding tables stored on a trolley plus chairs to seat eighty people. Toilet facilities (three female and one male) are accessed via the entrance hall. 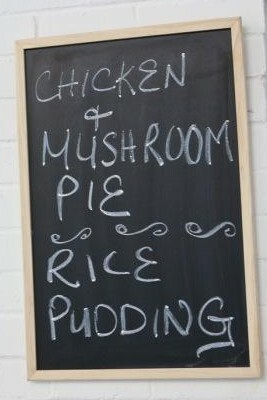 Please note, there is no access to our commercial kitchen for hirers. 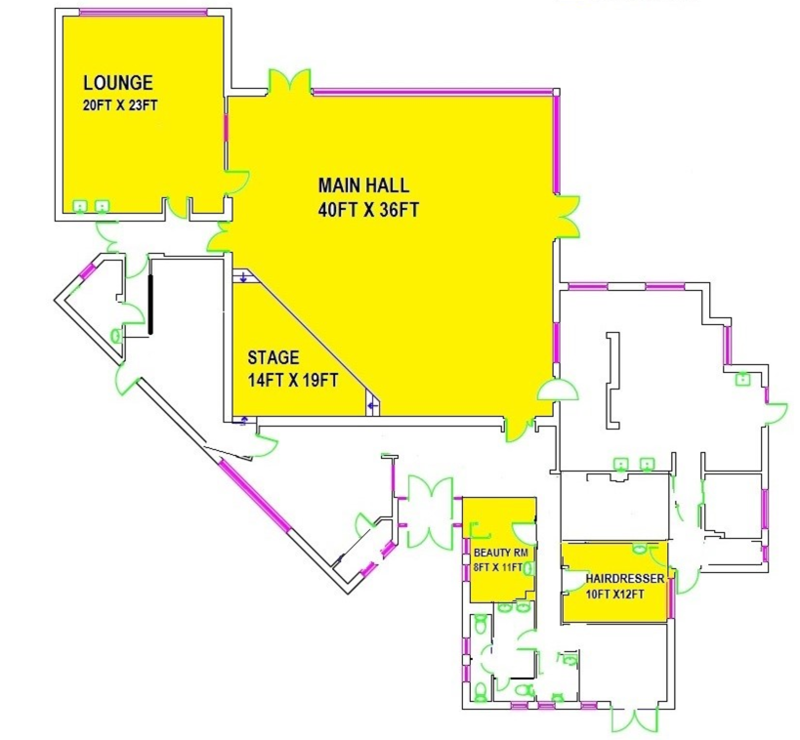 Lounge (20ft x 23ft). Includes small kitchenette area with kettle and fridge to make hot & cold drinks. This is a small but bright room with windows overlooking the garden and lounge chair seating around the edge. The lounge has its own access and there is an adjacent disabled WC with wash hand basin. Please note that there is no direct access to the garden from the lounge. Beauty Room (8ft x 11ft). Including treatment chair, shower area and wash hand basin. This room is ideal for beautician or chiropodist use. Hairdressing Room (10ft x 12ft). There is a fitted back wash and small table but no other equipment so any hairdressers would need to bring their own driers etc. This room is also ideal for interviews, counselling sessions and small meetings. Further details and a booking form for the hall can be found on the Hall Hire page. The Hairdressing Room and Beauty Room are also available for hire by contacting us directly on 0208 941 2373. 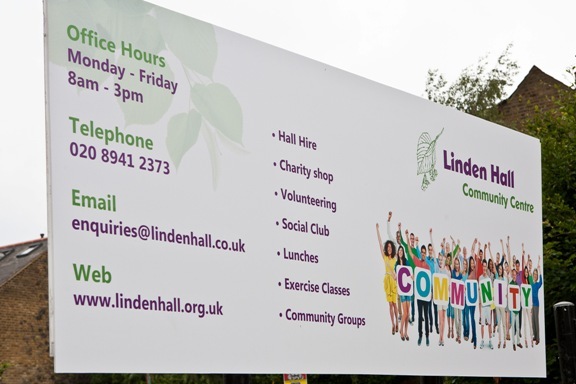 Details of activities run by Linden Hall can be found on our Events & Activities page and other users of the centre on the Useful Links page.